Anyone who drinks knows that alcohol can leave you feeling groggy and drowsy, and many Americans rely on alcohol as an aid for falling asleep. But how does alcohol really affect our sleep? As your sleep experts in San Jose, Santa Cruz, San Ramon and Los Gatos, we at Spark Sleep Solutions wanted to shed some light on the effects of alcohol on sleep. Does Alcohol Help You Fall Asleep? Yes, alcohol helps you fall asleep. It’s a depressant, which means it slows down and suppresses your central nervous system, making it easier to fall asleep. To some, that may sound like a good thing. Unfortunately, the benefits end there – and there are a number of drawbacks. Alcohol interferes with your brain’s natural sleep rhythms. While many think of sleep as a passive activity, the reality is that the brain and body perform a veritable circus of complicated tasks and processes that are vital to our health. Your brain literally cleans itself during sleep, removing byproducts and waste chemicals and restoring energy reserves for the coming day, and your body uses sleep as a time to repair muscles and do a chemical “reset.” To achieve this goal, the brain follows a complicated rhythm of changing brain waves. Alcohol also blocks REM sleep, the deepest and most restful form of sleep. Without proper REM sleep, you’re likely to wake up feeling groggy, unfocused, and tired, even if you’ve just had a “full” night of sleep. Finally, alcohol is notorious for aggravating sleep apnea. Your muscles relax after drinking, and that includes the muscles in your throat. This makes you much more prone to snoring and obstructive sleep apnea, which can add to an already troubled sleep cycle. This is true even if you don’t normally suffer from OSA, and if you do have any degree of OSA, the problem is even worse. Contact Your San Ramon & Los Gatos Sleep Apnea Dentists! 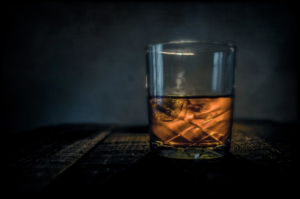 We hope you found this article informative, and if you have more questions about alcohol’s effect on sleep or on sleep in general, we’re always here to help. Feel free to call us at 408.490.0182 to learn more about sleep and the sleep apnea and snoring treatments we offer, or simply reach out to us at our contact page if you’d like to schedule a consultation or sleep study. We look forward to hearing from you, and we hope your next night of sleep is long, deep and restful – and free from the negative effects of alcohol!